It has been said that Frances Bradeu (Senor Llamado Bradeu de origen Frances) explained the difference between low valley estates vs. mountain groves: plants at high altitude absorb more oxygen, receive 90% of sunlight during the day (which helps prevent disease), & sugars can focus more on the grains (upon opening the pod, mucilages contain fewer but more concentrated aromas & flavors). Plus natural irrigation (rainwater / groundwater) can have increased amounts of lime & acidity in many places. 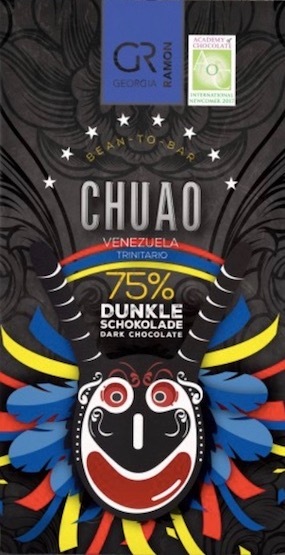 So while steeped in the trivium & quadrivium of cacáo that is the C-spot® like a good little scholastic, how many suns can dance on the head of a chocolate bar from Maya Mountain Cacáo -- the source of the chocolate contained in this bar by Moho? About as many as the shrapnel from this candy bomb exploding out of a gum-ball machine. Hilarious. Amusement park fun ride on the midway. Simple A-B kids format -- Fruits 'n Flowers at the front yielding to Earthen tendencies by the mid-point -- links up gradually & cohesively... from candy to savory & finally recombinant. 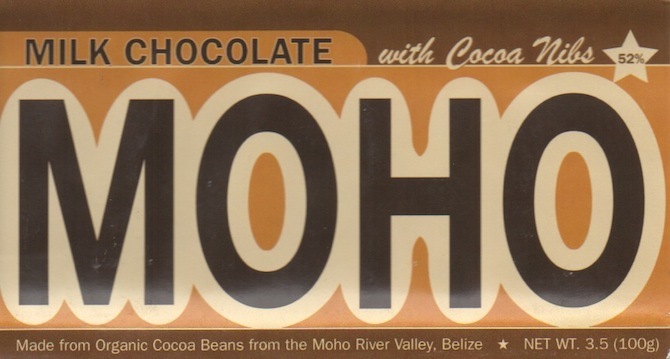 Proof positive that along with Java 'A's and Esmeraldas, cacáo from Belize, specifically from Moho, forms a natural fit for Milk Chocolate. The combined genetics, soil, & ferment-wood just delicious laughter. A temperate roast, coupled with a bountiful conch, are the crucibles then that bring it all together. 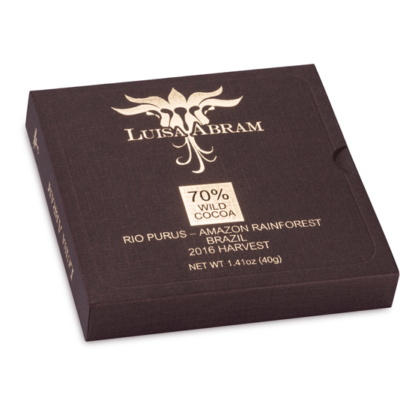 The extra 8% cacáo-content spells a world of difference compared to the brown bag fruits of this bar's Plain Milk Chocolate sibling. 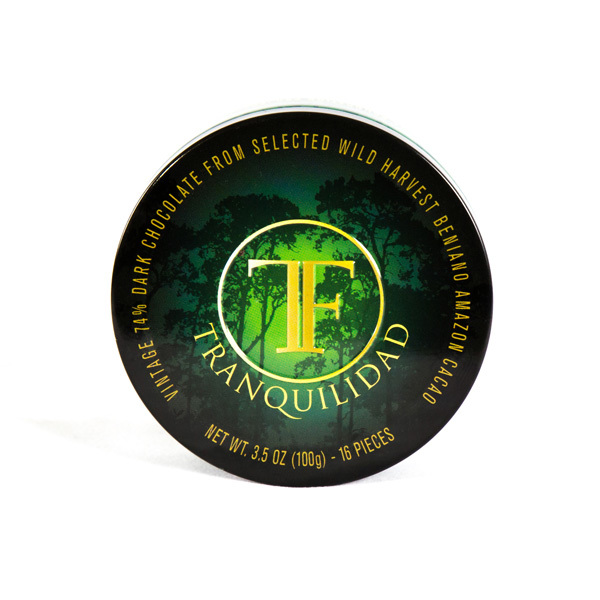 As if the sapodilla fruit berry, laden with natural caramel & cotton candy tones & from whose tree the wood boxes in Moho's fermentary are often constructed, were directly added to the bar as an inclusion instead of the Nibs. For those who wax on about allowing a cacáo to clearly shine thru a Milk Chocolate, let them come to Belize. An instant classic & an automagick all-star.